On Wednesday around 100 BCO members attended the launch of ‘The Productive Office’ at CMS, Cannon Street, London to participate in a thought-provoking discussion. 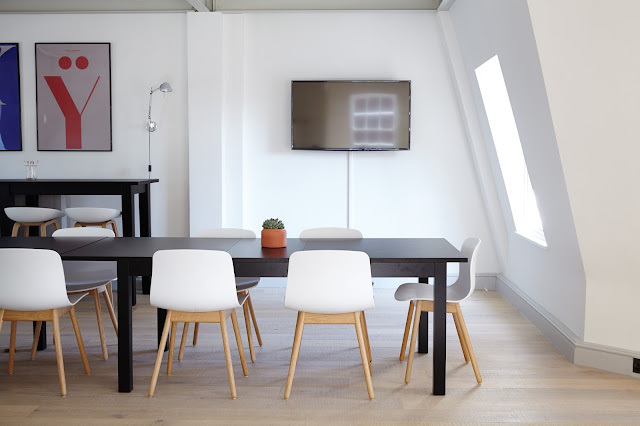 The physical environment is understood to be a critical factor when it comes to productivity in offices and ultimately the success and longevity of leading companies. The latest BCO research examines how the physical design and management of offices can influence both individual and organisational productivity. The first part of the seminar focused specifically on workplace design and the research findings were presented by Adam Mactavish of Currie & Brown who lead the BCO’s latest work ‘Defining and measuring productivity in offices’. Adam shared valuable insights on the work they have been carrying out over the last four months with special thanks to Ramidus Consulting and Despina Katsikakis who added valuable industry experience looking at the influence of the workplace itself on productivity with examples. A series of interviews and workshops took place with people in the supply chain. Productivity seems to be the buzz word at the moment and is either the source of all scepticism or the source of all opportunity depending on your perspective. Adam spoke about some of the lower hanging fruit that makes a valuable contribution to productivity, that which is readily available to us now, and opportunities that we are already aware of as property professionals improving productivity in UK offices. Adam questioned whether we were doing it as widely and routinely across the UK as we could. 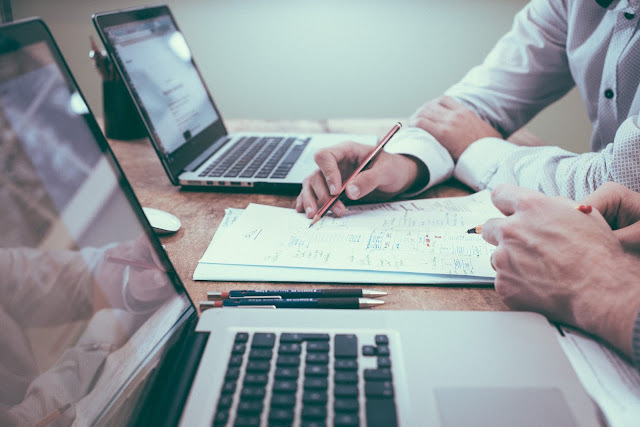 Those involved in corporate real estate are often more focused on the cost of property rather than the opportunity the property presents to them. Adam began by addressing the definition of productivity in offices and how we can go about measuring and improving it. The report hopes to encourage industry professionals to occupy more productive workplaces or to improve the workplaces they are currently in. There was a deliberate attempt not to replicate the tremendous amount of research on productivity already out there. The study instead provides a framework that people can use when discussing productivity so as an industry we are consistent in our approach. 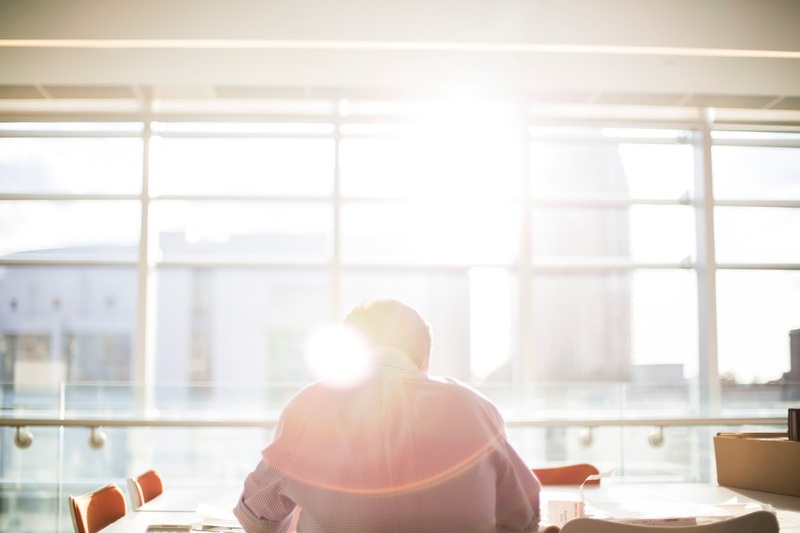 The report covers the influence of the workplace on productivity and stresses that although the office itself is important, it is only one of several dimensions. There are short sections on the value of productivity, recognising productivity and measurement of productivity in the workplace. Starting with the influence of the workplace, the report looks at the office as a tool to deliver change within an organization, to help embody the company culture, provide facilities and at its heart provide the opportunity for people to be able to do their work well. As ever, it’s also about attracting and retaining the best people. The report covers the many factors which influence engagement with the workplace. 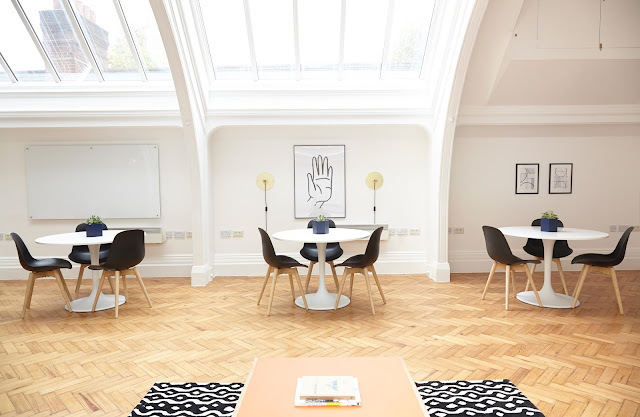 There are many buildings toured at every BCO conference and there have been examples of companies trying to adopt agile working practices while not having sufficient WiFi to enable people to move from place to place and connect properly. Kate Vine of Perkins + Will brought this up later in the panel discussion- ‘We love to design beautiful spaces, but also - the technology has to work and the environment has to be healthy for the office to be productive’. Session 2 of the seminar was dedicated to the impact of environmental qualities on productivity. In this section LCMB together with their Consortium Partners (including the BCO) outlined their interim findings on WLP+ (The Whole Life Performance) project, funded by Innovate UK. The project seeks to empirically validate the link between indoor environmental conditions and staff utilisation, output and absenteeism, by demonstrating the solution in three commercial case study buildings where there is available data on staff productivity. Managing Director of LCMB, John O’Brian, kicked off the introduction to WLP+ saying that productivity in the UK has flat-lined since 2008. The industrial partners included Argent, Kings College London, EMCOR UK, Constructing Excellence, and the academic lead Rajat Gupta of Oxford Brooks University. Members were shown the results we are starting to see and Rajat presented some early findings and insights around office air quality and the impact this has on productivity. For the last 17 years they have studied over 200 buildings and concluded that when occupants are satisfied with their indoor environment, productivity levels increase. Steve Dolan, Senior Account Director, EMCOR UK presented the first case study which covered the NATS analysis and the correlation between facilities management and productivity. EMCOR UK is the FM provider for NATS, one of the trial sites for the study. A second case study followed from Nick O’Donnell, Director of Estates & Facilities, King’s College London. Nick went over how a drop in oxygen in their office directly affected staff performance and while basic, an improvement in morale and productivity was seen once there was an increase in oxygen levels. Lastly Peter Runacres, Senior Projects Director from Argent presented a third case study before the panel closed with a Q&A. Peter made mention of the levels of CO2 being extraordinarily high in meeting rooms where staff should be most productive, for example in a board meeting. -Access the BCO research page and download the report. -Follow the conversation on Twitter . Nigel's top tip: "Set out your entry clearly and concisely and use the questions in the entry guide to explain to the judges what sets your project apart from other entries. Focus not just on the building, but also on the impact and change the project has delivered." Ian's top tip: "The awards are about recognising excellence in the workplace, and one specific area of focus should be the impact it has - on the people that work there, the businesses that operate from there and the local community that surrounds it." Alistair's top tip: "A successful office development needs a clear brief and it is important for this to be explained to the judges and to show how the design, construction and commercial solutions have been tailored to suit this. Also, highlight areas of the project that stand out." 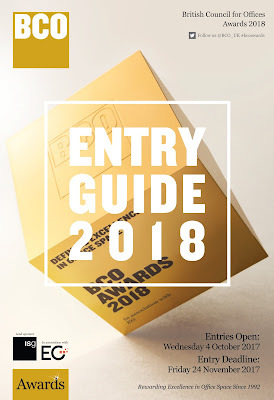 David's top tip: "As the BCO Awards are the benchmark for defining excellence in the workplace, submissions should, in addition to answering the 'Judges Questions', convey what sets the project apart in terms of its speciality and appeal to occupiers. A strong, factual and passionate submission generally reflects the excellence of the project and sets the scene for shortlisting and the judges' visits." Nick's top tip: "Make sure that your submission allows the judges to see what makes your building or fit out unique and special. Be proud of what you've done, show us the passion that went into making it and let your answers demonstrate why you think it's a winner." Rob's top tip: "Always answer all the questions, even if you feel your submission is weak in one area. The judges award points for every question. For example, if your building only achieved a moderate EPC score, still state what it achieved rather than avoiding the question. Better to get a few points than none in weak areas." It’s just 2 years since BCO published its ground-breaking report Building Performance – Rethinking the Relationship between Owners, Managers and Occupiers. The report set out a 10-point action plan to improve stakeholder relations and remove much of the friction that frustrates corporate occupiers. “Office Service Standards and Customer Experience: a best practice guide” highlights the revolution currently occurring in the property industry’s approach to delivering service, based on customers’ requirements ‘from space as a commodity’ to ‘space as service’. It also forms the basis for a consultation with the BCO members on the format of a new BCO Customer Experience Award which will recognise those owners and their managers that are running buildings in a truly innovative and customer focused way. 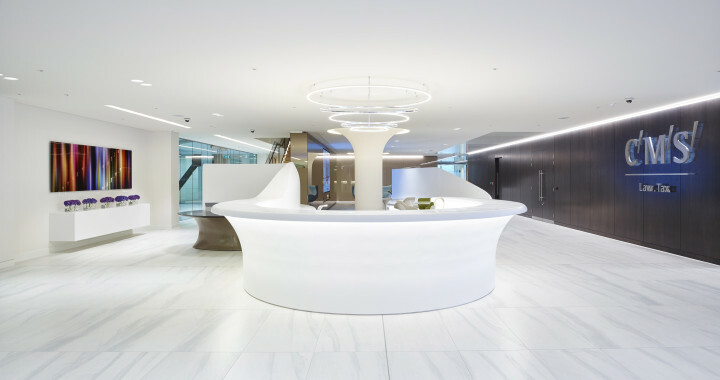 The research identified the need for change and articulates benefits for both owners and occupiers in adapting a new and inclusive approach that is more engaging and in line with a customer service and satisfaction ethos across other industries. Office owners, managers and occupiers were engaged with to define and communicate what the industry should be delivering by way of effective and efficient building services that match a significant improvement in building and workplace design and quality in recent years. We participated in the debate and discussion at the breakfast seminar held on the 17th October at UBS, Broadgate, London sponsored by British Land, LGIM Real Assets, CBRE and Broadgate Estates. The panel was joined by Polly Plunket (Property Management Director, Broadgate Estates) Debbie Hobbs (Head of Sustainability, LGIM Real Assets) Danny Harte (Senior Director, CBRE) and Gary Wingrove (Projects and Construction Director, BT Facilities Services). As recent PhD research by Dr Danielle Sanderson shows, there is a clear commercial case for investing in building strong relationships with occupiers. I am excited that there is evidence that our attention is now shifting from a viewpoint of ‘What’s wrong with the way we do things?’ to ‘How we can make things better for our occupier customers?’ That’s why this latest report is designed to provide those forward-thinking property owners and managers who want to change their approach with practical guidance in the form of checklists, scorecards and case studies. These will measure how well an office building is performing, viewed from the perspective of the owner, property manager and occupier. The checklists, designed to help property owners, managers and occupiers understand what best practice looks like, follow the broad structure of the RealService ‘Best Practice Framework’ and cover the following areas: customer experience culture, customer insight and service design, collaboration with service partners, leadership & training, operational excellence, and, performance measurement. There has never been a more apt time for our industry to get close to our customers – the price to pay for missing this opportunity is potentially great. Who could have predicted the seismic shifts in the political, economic, social and technical worlds that we have seen over the past 18 months? If ever there was a time to stick close to your customers it’s now! Other industries have learned the hard way that failure to innovate and to follow the customer is a sure-fire way to attract the attention of the business disruptors – like Uber, eBay, Amazon, Airbnb, etc. The office industry is seeing new entrant disruptors like WeWork and The Office Group transform the experience of the workplace. For more information on Office Service Standards and Customer Experience or to download the report, access the BCO research page. “In the age before computers, architects were regularly in trouble for getting their hand-drawn perspectives completely wrong.” The BCO’s Urban Group held an interesting debate at U+I’s offices on the future effect that technology may have on the way we plan the development of our cities. We discussed the benefits and constraints of ‘Computerised London’ following presentations on new technology and 3D Models. As the sophistication of technology improves, our interaction with the world around us becomes more natural and comfortable. With computerised tools, the emphasis is very much on the visual, with every step in the process clearly illustrated. The basic tutorials cover the essentials of tools and then move on to a discussion of components which are vital if you are to use them efficiently. Vu.City, creators of highly accurate, fully interactive 3D digital city models, gave the audience a preview of their London mapping software, demonstrating the immediate benefits to the property profession of an instant and current 3D model of our capital. The ability to place yourself anywhere in or over London and assess the past, current and future built environment from your laptop is powerful in itself. There is then endless potential to add programmes and information to analyse and test site potential accurately and quickly. In the property industry this could help Planners and Politicians assess and inform policy, while reducing the burden on every developer to reproduce information time and time again for planning applications and site assessments. Add real time data from the network of cameras and receptors around our city and there is a real time model of London that could be useful to other professions and businesses. Peter Barbalov, Architect and Design Partner at Farrells, outlined the evolution of urban design and articulated the importance of man working with machine, using technology to optimise decision making and test creativity. Peter Wynne Rees CBE, Professor of Places & City Planning, UCL Faculty of the Built Environment was charged with challenging the advance of technology and he warned of the dangers of losing human touch and personal authenticity. Questions over the control of the technology and the accountability for accuracy were raised. However, Peter conceded that if such a tool could help the ‘developer’ work with the Planners at an earlier stage in the design development process, and there was greater clarity over planning guidance and decision making, then this would be a welcomed initiative. Questions were raised about ownership of such a powerful model, and the responsibility and accountability for authentication of outputs. This is a topic that will run its course but anything that increases efficiency in the planning process and helps with the interpretation of policy will reduce development cost and help make UK PLC more competitive. The 3D model gives us a whole new perspective on buildings. We can check the interior layout, model sunlight at various times of the day, and get an estimate of the outdoor area. Instructing architects and the builders is likely to become easier than ever before. If a picture is worth a thousand words, what difference can an interactive 3D model make? -Duncan Trench, BCO Chairman of the Urban Group. For more information on the Urban Group or to view upcoming BCO seminars access the BCO Research page. ‘Best of the Best’ winners Sky Central was praised by judges for bringing 3,500 of Sky’s workforce under one roof. Judges also commended the vast array of services and amenities on offer, including six restaurants and cafes, a 200-seat state of the art cinema, 200-person event space and a technology ‘lounge’. Read some of the tweets here or head to our photo gallery for a visual recap of this wonderful evening. Entries for 2018’s BCO Regional and National Awards programme opened on Wednesday 4 October 2017; the closing deadline is: Friday 24 November 2017. The BCO recognises the importance of the growing Health & Wellbeing agenda, which we would term a paradigm shift, and the implications it has for office design and how the attitudes towards the office are changing. Furthermore, we recognise that the rapid escalation of literature, views and certification has led to confusion over “what really matters”. Since last year’s World Mental Health Day, the national conversation on mental health has gained significant momentum. In the past year Mental Health First Aid England (MHFA) England has trained a further 65,000 people in Mental Health First Aid. As a result, to date over 206,000 people in England have Mental Health First Aid skills. Just some of the employers who have taken ownership of mental health in their workplace and trained Mental Health First Aiders include Unilever, Siemens and WHSmith. Designers, developers, researchers, and management teams all have a critical role to play in ensuring that healthy work environments become a standard in office culture. In April The British Council for Offices (BCO) announced the commissioning of a major research study “Wellness Matters: Health and Wellbeing in offices and what to do about it”. The year-long project will provide definitive guidance on how to enable office Health and Wellbeing across a building’s lifecycle. This report is the third in a series of guides designed to tackle the issue of office obsolescence. First, it sets out the international scrutiny afforded to office obsolescence in academic literature and practice-based research. It then responds with some practical guidelines on and solutions to office obsolescence alongside an appraisal of the wider socio-economic environment, which must be considered in any office-building change. 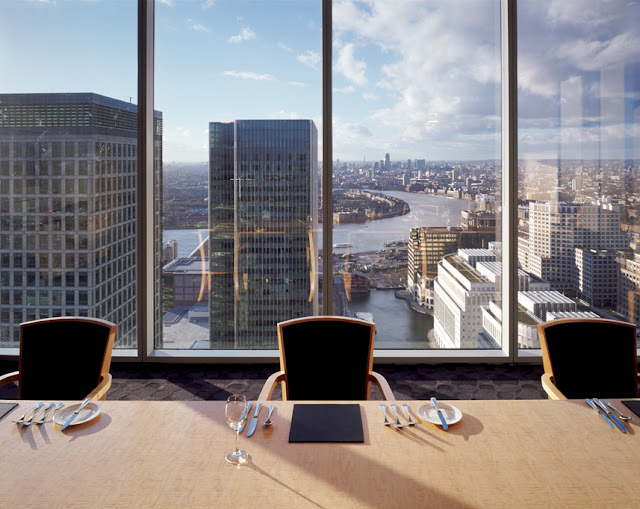 There are offices in the UK which are obsolete due to various reasons such as location reasons- the building is in, for example, an inaccessible, out of town location where there is no occupier demand. Some offices can be functionally obsolete as the building is not fit for purpose due to changing technology, new regulation or changing occupier demand, i.e. small, irregular shaped floorplates or cellular design. An office building deemed as physically obsolete means the building’s fabric has deteriorated to the point where the cost of occupation outweighs the benefits accrued by the occupier. In any response to obsolescence, particularly conversion for new use, it is tempting to focus on the physical aspects of buildings, for example building size, height, depth, structure and servicing arrangements. These factors are certainly important, however our research indicates that the physical building exists within a much wider socio-economic context which influences both the management of the office property and the potential mitigation of its obsolescence. To account for this wider context, a PESTLE analysis was used to scan the contingent environment of office obsolescence. A PESTLE analysis focuses on six key themes namely political, economic, sociological, technological, legal and environmental. The report also looks at how office landlords and investors can capitalise on the new working environment. 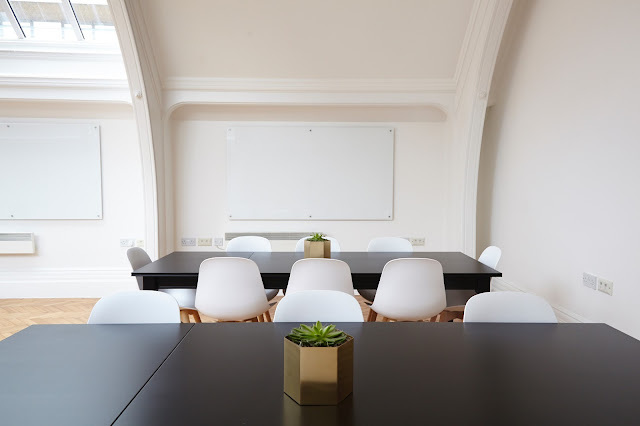 Even though office buildings are traditionally designed to last for centuries in the physical sense, they will have multiple tenants and types of use. In the future, office buildings may not be judged only on specification; they should be marketed as a service, rather than as an asset. Under this perspective, investment and management strategies will need to be proactive, with an emphasis on tenant experience. This suggests a change in approach from traditional management strategies based on price signal. Assets may not even be called ‘offices’, but business centres, hubs, communities or hives. What is certain, is that the ability to adapt and change will be a key determinant of success and profit in the future. For more on Mitigating Office Obsolescence, access the BCO research page and download reports. Become a member, join the debate and help to shape the future of the industry. Without income property has little value. It is surprising, therefore, that the industry spends an awful lot of time looking at design, construction and investment, but relatively little on occupation. What Workers Want has been published by the BCO and Savills twice, in 2013 and 2016. The latest research draws on a survey of more than 1,100 office workers conducted by YouGov. We have found it gives insights you wouldn’t normally get from asking the workers’ representatives at C-suite level. Who’d have thought that smell was so important? The factors deemed by over 70% to be highly important were: the length of commute; cleanliness; toilet provision; wifi; private space for focussed work and public transport. Meanwhile, factors affecting wellbeing specifically were comfort; temperature; light; noise; smell and security. The study also measured the gap between importance and satisfaction. Areas for improvement included the provision of quiet space; wifi; cleanliness and internal design. Perceived productivity in open plan versus private office was also tested, with the (expected?) view that open plan decreases productivity. There is some disconnect between what workers actually want and what their employers say they want (or maybe just what the office supply industry thinks they want). The simple things are important and can be provided easily by facilities management (cleanliness) and specification (toilet provision). Enabling productivity. This is a subject of a whole new workstream but what is evident is that workers value the ability to work in a focussed way but are frustrated by the lack of provision. This is not the same as saying “open plan is dead”. There will be no return to private offices and cubicles, but there is no good reason why optionality cannot be provided. -Author: Bill Page, Chairman of the BCO Research Committee. -For more on 'What workers want' download the full report here. There is a shortage of new homes. The government targets over 260,000 per year in England but the industry has delivered 189,000. Meanwhile, the image of offices sitting empty while there is this undisputed housing need seems like a failure of economics; the planning system has prevented market forces from determining the optimum land use. Under the prior approval regime established in 2013, there is consent in principle for office to residential conversion. Local authorities can either examine notifications or wave them through. Authorities can nominate areas for exemption and have until 2019 to do this. In March 2016 the rights became permanent. One year on from this permanence the BCO were intrigued to see what impacts there had been and commissioned CBRE to revisit its 2015 research.The number of notifications has been declining gradually. We think this is because much of the “low hanging fruit” has already been identified. Nevertheless, notifications are running at 750 per quarter. Local authorities are examining more, but there is no consistency in approach.Almost 13,000 homes were created in 2015-2016 through PDR following 6,600 in 2014. This is a meaningful proportion and equivalent to the output of a couple of good sized house builders. We estimate 18 million sq ft of office stock has now been lost since 2013 with the conversion rate running 5 times greater than before 2013. English office stock has fallen since PDR was introduced. In London specifically, 7.5million sq ft has been converted with a further 5.8 million sq ft expected; 5% of Greater London stock. For office investors PDR has provided optionality and can mitigate obsolescence risks. However, there are reasons for caution. Some local authorities are concerned about what PDR has done to local environments and its piecemeal nature has frustrated consistency in top down planning policy. It is reducing the Grade B and C options on which the SME economy relies. We cannot prove empirically resultant harm, but anecdotes have been persuasive. Finally, a bigger office workforce is now being accommodated in less office stock. An unforeseen consequence of PDR is increased office utilisation. Access the BCO research page and download the report to find out more on PDR. Blog post by Bill Page, Chairman of the BCO Research Committee. A year on from Permitted Development Rights (PDR) becoming permanent, the BCO commissioned a new study to establish the impact on the office market and the extent to which the regime is contributing to the conversion of offices to residential. The report was commissioned by the BCO and carried out by property consultants CBRE. A total of 13.3 million ft² of London office space could be lost to office-to-residential conversions carried out under new Permitted Development Rights introduced in 2013, according to the research. This figure comprises of 7.5 million ft² of office space in London which has already been converted to homes since the introduction of the rights, with a further 5.7 million ft² of conversions in the capital having approval. An average of 2 million ft²/year has been converted each year since the rights were introduced in 2013, or 0.7% of the total London office stock. The office development market has historically been able to outrun losses from conversion. Between 2001 and 2015, office stock in England has increased by an average of 7 million ft²/year, while conversions to housing have averaged 2.6 million ft²/year. However, in 2014, an estimated 6,574 homes were created from offices, leading to a loss of 5.3m ft² of office space. The creation of 11,155 homes from offices resulted in a 9m ft² loss of office space in 2015, almost double the figure from the previous year. The report finds that while Bristol, Birmingham and Leeds have all experienced high levels of notifications to local councils, London remains the city most affected, with 36% of all notifications in the capital. Furthermore, a higher proportion of these have been converted compared to the rest of England - London’s implementation rate is running at 57%, compared to an estimated national average of 50%. Boroughs in outer London have been the most affected. Croydon has seen the most significant loss of office space so far, with estimates indicating that more than 1.3 million ft² over the last 4 years has been converted. A further 750,000 ft² of developments granted prior approval have not yet been converted. Hounslow and Sutton have also been significantly affected, with an estimated 529,500 ft² and 492,625 ft² of office stock lost to conversions to date. In this podcast, Bill Page, chair of the British Council for Offices Research committee, explains the key findings from its latest report into office to residential conversions. “The new Permitted Development Rights have made a significant contribution to housing supply. However, following its introduction we have seen a decline in office stock in England for the first time in over ten years. There is strong evidence to suggest that this decline is due to these new rights, rather than economic or other regulatory factors. 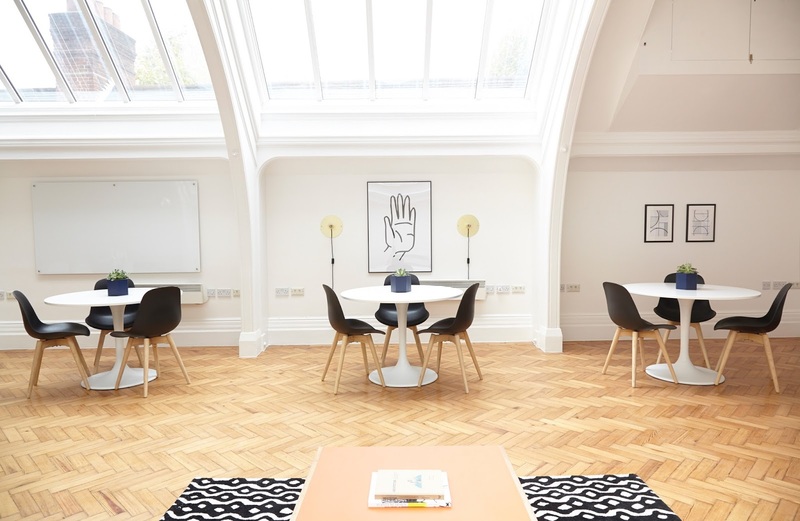 amden and Islington, have traditionally had strong policies protecting office floorspace from conversion. In boroughs which have historically been protective, great losses are less surprising once that protection has been withdrawn. “There is no denying that more housing is needed in many parts of the UK, and the conversion of some older buildings which are no longer suitable as offices is a sensible solution. However, once office space is lost to residential development, it is often lost for good. “This loss means that many businesses will not have access to office space of the right quality, in the right location, to succeed and drive growth. London boroughs such as Richmond upon Thames have already expressed grave concerns about the threat of lost office space, as has the Mayor of London. For more on PDR download the report here which is free to BCO members. Competitors are asked to consider ‘the office of 2035: what it will look like, and how it will support the way we will work’. The free-to-enter competition is seeking forward-thinking and innovative responses, challenging the conventionalities of today’s workplaces and anticipating future needs. The NextGen programme allows the BCO to mentor the next generation of professionals – designers, agents, developers, consultants and others – and provides a platform for emerging talent to share their ideas. With social, economic, cultural and technological progress changing the way people work, employers and workers’ expectations are in flux. Ubiquitous and instantaneous technology; a growing interest in health and wellbeing; a greater desire for organisational flexibility; and an increased awareness of individual’s needs are now all competing factors within the workplace. Multi-disciplinary teams of between two and four members are invited to enter the competition. Individuals are also encouraged to register, and will receive the support of the BCO to form teams. Each team must contain a minimum number of BCO members – full details available on the BCO NextGen website. Competitors will need to submit a 15-20 page report, including at least 10 images, graphics and diagrams and with additional media (including a five minute video) encouraged. The deadline for entry to the competition is Friday 6 October 2017. During the competition period, teams will be invited to participate in ‘hackathons’ led by senior industry figures, and will be offered the opportunity to receive one-on-one mentoring and advice from an expert in a relevant field. A number of regional launch events are planned for the coming weeks, to promote the competition to young professionals throughout the UK. Entries will be judged by an expert panel drawn from a range of disciplines and including David Hamilton. The winning and highly commended teams will be announced at the BCO NextGen Awards Dinner on Wednesday 15 November. The competition’s first prize is an invitation for the winning team to attend the 2018 BCO Conference in Berlin, including tickets to all conference events, flights from the UK only, hotel accommodation, and a financial contribution towards transfers and subsistence. The runner-up team will receive an invitation to an exclusive private dinner hosted by two key industry figures. For full details of the competition, including team and submission requirements and the detailed brief, please visit the BCO NextGen competition website at http://bconextgen.co.uk/competition/. We have started revealing more details of mentors and judging panel. Bristol businesses, cyclists need you! Mark Alker Stone, chairman of the BCO South West of England, Thames Valley and South Wales, calls on Bristol office owners to do more to encourage cycling. The recent BCO report 'The Market Cycles' revealed 38 per cent of office workers would consider commuting by bike if their workplace offered better facilities. This report considers the impact of growth in cycling on office specification as well as occupier and investor demand. Back in 2015, Bristol’s then-mayor unveiled plans to double the number of bike users in the city over 10 years. The BCO report highlights the need for better cycling facilities at the city’s workplaces and office buildings if such ambitious targets are to be met. Currently one in ten adults in Bristol cycle at least three times a week and 47 per cent of these are commuting journeys. Bristol Cycling Campaign wants 20 per cent of all Bristol commuting journeys to be by bike by 2020. Bristol’s businesses need to start helping more. Improved parking facilities could help, with 16 per cent of workers surveyed saying better bike storage would encourage them to cycle. Currently 45 per cent of offices do not have showers, something which almost a quarter of those surveyed said would encourage them to consider commuting by bike. Overall, 38 per cent of office workers surveyed said that they would consider commuting by bike if their workplace had better or more facilities. The benefits of cycling are well documented from reducing car and traffic pollution to improving health. Nationally for every £1 invested in cycling, £4 is put back into the local economy. Bristol’s Cycling City programme from 2008 to 2011 showed that for every £1 spent, the city gained as much as £20 of economic benefit. For Bristol employers, a healthy cycling workforce reduces sick days, increases mental wellbeing and productivity, not to mention helps combat traffic congestion for local deliveries. The good news is the number of people cycling to work is growing. From 2001 to 2011 people commuting by bike rose from 8,108 to 16, 211 (ONS), a growth rate of 100 per cent. Bristol as European Green Capital in 2015 invested heavily in boosting its cycling infrastructure to 200 miles of cycleways and freeways connecting every area of the city. At least £16 per head of the city’s population is being spent on cycling every year until 2020 through funding secured. Business zones in the city are integrating cycling infrastructure from the ground up such as Temple Quarter Enterprise Zone near Bristol Temple Meads train station, which has a target of 17,000 new jobs by 2030. A new cycling hub with increased secure storage is planned for the station to meet this demand. The research shows that, compared to five years ago, cycling provision is increasingly accepted as an integral component of Grade A office specification. As cycling continues to grow in popularity, workplaces now need to provide facilities which can cope with rising demand, and technology such as mobile apps can play a significant role in addressing this. Bristol businesses must ensure their service provision for cyclists meets the evolving expectations of today’s worker. Commissioned by the BCO and prepared by KKS Strategy, the report called'Corporate Culture: How Office Moves and Office Consolidations can Create Cultural Change' looks at the impact of workspace design and company leadership. Businesses are thinking more carefully about how to manage internal change in the face of profound external change, to protect their most important asset – their people. In part due to the geopolitical climate, we’re likely to see some profound changes to how companies worldwide operate over the next few years. A number of banks and financial institutions are set to move staff from London to bolster their European operations post Brexit. 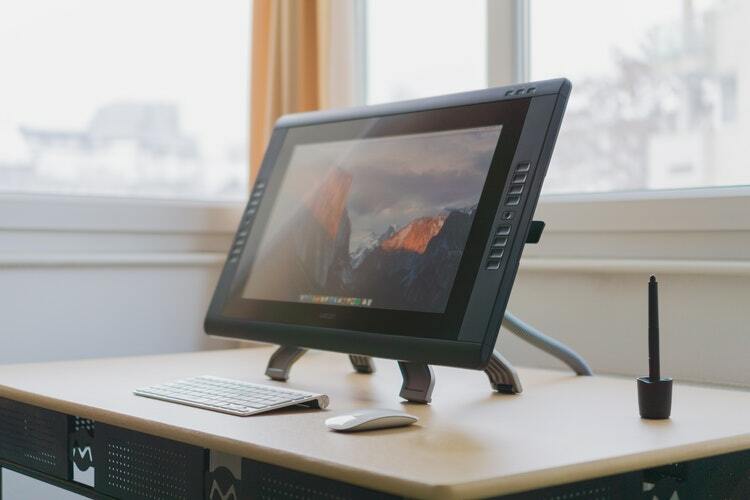 Technology is also increasingly changing the shape of work, with artificial intelligence holding the potential to alter the shape of our jobs, automating simpler tasks to give people space to think more creatively. As businesses evolve and change with the times, so too does the workplace. This may involve moving to a new office, altering the layout of an existing one to accommodate growth or a merger, or changing how and where a business operates to meet differing industry standards. We’re also becoming increasingly aware of the role a workplace can play in the well-being and productivity of employees. As such, businesses will need to think carefully about how to manage internal change in the face of profound external change, to protect their most important asset – their people. Often, HR personnel find themselves brought in to a programme of change at a late stage, with no chance to make a positive input to the process. They’re forced to implement a programme that they may have fundamental reservations about. Bringing HR in early means that they can use their insights into the organisation to make valuable input, and that they are more likely to feel comfortable with the changes they will be helping to enact. HR is in a unique position to support the cultural change throughout all stages of the employee life cycle, through recruitment, orientation, appraisals, reward and recognition practices. It has the means to ensure that the desired office culture is reinforced. and the behaviour that is rewarded. Communication with staff is vital to ensure that they have the information they need to feel secure in their position in the wake of upcoming organisational change, with a view to preventing high levels of attrition. The HR department, which often discusses pastoral issues with staff, is a natural choice to facilitate communicating this information. The thoughts and input of workers throughout the change process should also be gathered, so that the workforce feels engaged and listened to. Focus groups are a tried-and-tested method to achieve this, but HR professionals also have the opportunity to provide an informal ear to concerned workers outside of formal feedback sessions. Throughout, it is important that HR personnel are managing expectations as to the impact this feedback will have, to ensure that trust isn’t lost if staff suggestions aren’t carried out. The HR department can also be used to monitor the success of organisational change. It has access to data such as absences due to sickness, which can be used to understand levels of staff happiness or stress. As well as this, HR often acts as the cultural thermometer of a company, given its frequent contact with employees daily. Even without needing to look at data, HR should be able to provide useful insights into the success of an organisational change. Indeed, the best measurement of successful organisational change is a positive and strong corporate culture. It’s difficult to define, but enhances an organisation’s performance and pervades all aspects of the business. A weakened or toxic corporate culture, impacted by poor change management, may result in a failure to meet commercial goals. For this reason, companies across the globe need to think seriously about how best to make use of HR next time they undergo any kind of workplace change, be it in response to growth or downsizing, a merger or a relocation. By doing this, businesses can create a working environment that not only can survive unanticipated events and crises, but make the most out of today’s frequent and disruptive accelerating challenges. -Katrina Kostic Samen, Managing Partner at KKS Strategy, and the Senior Vice President of the BCO. Access the BCO research page to download the report to find out more on corporate culture.